My favorite part of New Years is the idea of hitting some sort of giant reset button on life. Kind of like the “EASY” button on the Staples commercials, but not quite…more like a giant “Mulligan” button. A new year…a fresh start…a do-over. An opportunity every 12 months to try new things, new ideas, new adventures. It is not required anyone wait until the start of a new year to do any of those things, but it feels like the two were meant to go together. As I mentioned in my last post, I make resolutions every year. I’m not great at sticking with them. But, that hasn’t stopped me from trying again and again. Some of my resolutions are veterans. Meaning…they show up on the list every year, and every year, at least so far, I bump them off the list or tire of feeling burdened by requiring myself to adhere to achieving them. They are erased and relegated to “next year” or…sometimes…”next never”. Also, as mentioned before, I have decided not to view this as failure. There is too much to be happy about, grateful for, and appreciative of to focus on the things I don’t do, have, achieve, etc. I have decided this year to take a little different approach to making my list. The last four months of studying holistic health has had an influence on my overall view. I’ve been leaning toward a more holistic view for several years, but I’m no longer leaning…I’m smack dab in the middle of it. This being the case, I want to frame my resolutions around the tenants of a holistic health perspective. In the simplest terms, this means striving for balance. 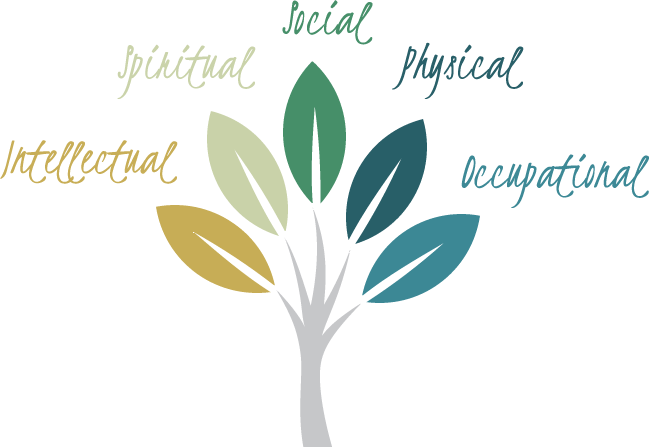 It also means viewing my health as being evenly grounded in the categories of intellectual, spiritual, social, physical, and occupational health. I will continue to pursue my Masters degree in Holistic Nutrition. The program’s schedule of one class at a time helps me maintain balance and keep stress in check. GOAL: By the end of 2014, I will be 1/2 way to completion of the program. I will finish my manuscript for book #1 and submit to publishers. GOAL: Either sign with a publisher or self e-publish by the end of 2014. I will continue to participate in both of my book clubs and (watch out ladies) push to encourage discussion of literature, language, social commentary, political commentary, and spiritual commentary among my “club” peers. GOAL: Read every book on both lists (no skips) by the end of 2014. Learn to meditate. (This is it’s own goal). It may sound silly, but every time I have tried to meditate, I end up thinking about the most random things. Instead of feeling centered, I get stressed and frustrated that I can’t just relax. I have found some online resources to help me learn how to meditate effectively. I figure…I can a least try! Intentionally spend more time with my female friends. I have really amazing women friends. I believe it the highest of compliments that such brilliant and truly quality people agree to be my friends. I’ve heard it said, “You are most like the five people you spend the most amount of time with.” I don’t know who to credit that quote to, but I do think it is true in essence. I would love to be more like many of my women friends. GOAL: Seek out one-on-one time with girl friends for lunches, coffee dates, movie dates, dinner dates, play dates, exercise dates etc. I think it is realistic to shoot for three of these meetings a month. Say “NO” to events and invitations when it serves us better to do so. This may sound selfish…and in a way, it is. (Aren’t all resolutions selfish in a way?) Lets be honest, being over committed or feeling obligated to participate in things because you don’t want to miss out, or don’t want to disappoint others is exhausting and taxing and…unhealthy in the long run. Saying “No” to the things that aren’t really important to us makes more time for the things that are important to us. GOAL: Create less stress and more peace by having fewer obligations to things that are not a priority to our family. Take advantage of where we live by organizing social activities centered on our community assets. Where we live is beautiful and there is no excuse for not taking advantage of everything our community has to offer. GOAL: Invite others and attend a once monthly social activity centered on Casper indoor/outdoor activities, organizations, businesses etc. Try a new physical exercise discipline…I pick…martial arts. I can’t believe I’m writing this down! I have wanted to try martial arts FOREVER and have never actually done it. I feel like now is the time. Mark and I have quit our gym membership. I will be working out outside, in our home gym in the basement, and with my Pilates instructor at her studio…and in the Martial Arts gym. YIKES!!! GOAL: Participate in beginning Martial Arts class for adults in 2014. Occupational Health: As my “occupations” include Stay At Home Mom, Writer, and Student…many of my occupational goals overlap with other areas. Even so, I can come up with three items for this segment of my list. I have SO MUCH to learn about holistic health. I can’t think of better enrichment to my schooling than meeting and learning from people already in the field. NANP (National Association of Nutrition Professionals) has it’s annul convention in April in Arizona. I’m going to be there getting my learn on. GOAL: Attend a Holistic Health Practitioner professional development seminar sometime in 2014. WHEW!!! There it is folks. I’m printing it out, hanging it up, and scheduling it into life. I’m glad to be alive and grateful to God for this wonderful life. I hope I can take advantage of His gift and make 2014 a year of peace, joy and love. (My mantra for our new year). Happy New Year! 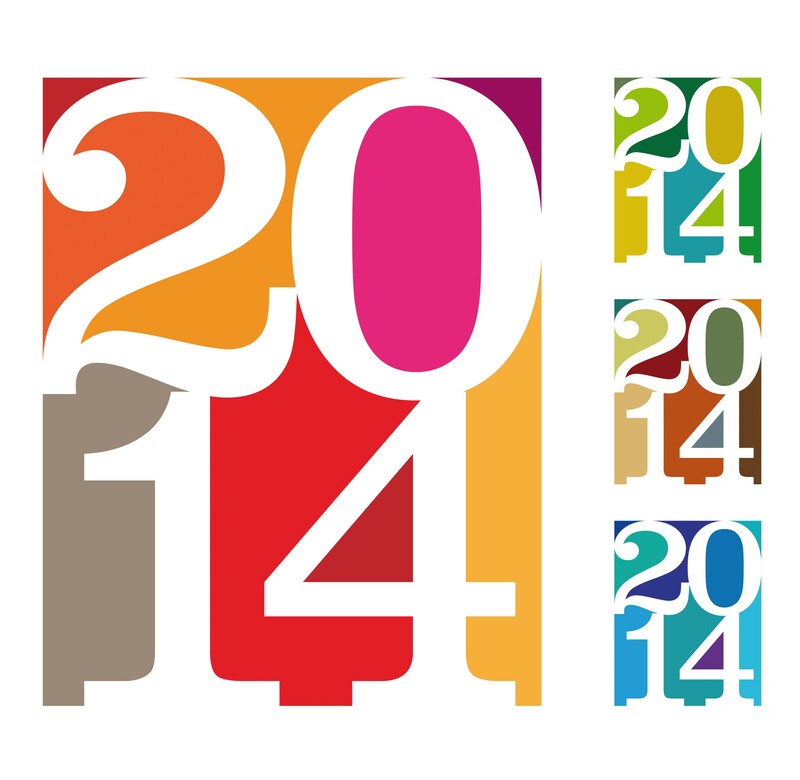 Cheers to 2014!! !